Chris believes that most people engaging in therapy have a good awareness as to what they need to change. She is quick to give clients a trusting venue to explore issues and help them identify coping skills for healthy changes and the tools to apply them in every day life. Specializations: Adjustment to life changes, Anxiety, Child Abuse/Neglect, Depression, EMDR, Grief/Loss, Post-Partum Depression, School Issues (not ADHD), Stress management, and Trauma recovery/PTSD. Annie is passionate about providing the best and most comprehensive care to victims of sexual assault in our community. As the Director of the Center, she oversees operations of the Sexual Assault Center and offers expert oversight regarding sexual assault/abuse treatment. Annie provides clinical services to a small group of clients through our Counseling Center. Annie is dedicated to supporting and empowering people with significant life changes, those who have experienced trauma or abuse, or who are struggling with depression and anxiety. Annie will walk with you as you emotionally heal and grow despite any barriers faced through your life. Annie is trained in Emotional Freedom Technique (EFT) and Eye Movement Desensitization and Reprocessing (EMDR). Specializations: Stress Management, LGBTQA, Anxiety and Panic, Depression/Grief and Loss, Gender Orientation Issues and Postpartum Depression. Mary Jo summarizes the key to good psychotherapy in one word: relationship. She believes if a client trusts the listening ear, then a relationship built on mutual trust and respect can develop as well as skill building and option exploring. The most technically skilled clinician will be less likely to aid the client from benefiting from therapy if the client views the clinician as detached or unconcerned. A clinician who listens, empathizes, validates, challenges, explores and is “active” in the process, establishes a relationship with the client where options, choices and change can grow. Specializations: Adjustment to Life Changes, Anxiety & Panic, Behavioral Issues (Adult), Co-parenting Issues, Depression, Family Issues, Gender Orientation Issues, Grief and Loss, LGBT Issues, Marriage & Couples Counseling, Post-Partum Depression, Stress Management, Trauma Recovery. Jodi believes in meeting the client where they’re at in order help them change and grow. She understands there is a delicate balance between accepting the client for how they are while simultaneously recognizing their need to change. Jodi often utilizes a holistic model to make sure that clients have considered all elements in their lives that could be driving their well-being. Additionally, her approach is eclectic, using techniques that match the client and situation. Her role is to support and empower the client in whichever choices they make towards accomplishing their goals. Specializations: Depression, Grief and Loss, Anxiety, Stress Management, Family Issues, Children’s Issues, Substance Abuse and Trauma Recovery/ PTSD. EMDR (eye movement desensitization reprocessing). Jenn believes in helping her clients accomplish his/her goals. In order to do this, she engages with her clients and sets out to establish trust and rapport with them quickly. Jenn believes in having clients speak openly to her in order to problem solve with them and offer hope. Jenn views therapy as a partnership between the client and clinician working together to improve overall emotional well-being. Specializations: Behavior and Conduct Issues, AD/HD, Anger Management, Stress Management, Obsessive Compulsive Behaviors, Anxiety and Panic, and Depression/Grief and Loss. Specializations: Adjustment to life change, Anxiety, Behavioral issues, Bipolar, Chronic Pain, Co-parenting issues, Depression, Substance Abuse, Stress Management and Trauma recovery. I believe in the dignity and self worth of every individual. I will go at a pace that is determined by the client. I utilize eclectic techniques because every person is different and I want the technique to be individualized for them. It is vital that the client is comfortable in sessions. I am laid back which helps to put clients at ease. I love when clients see their strengths and purpose in life. I love helping them find these. Specializations: Anxiety, depression, adjustment, grief/loss, trauma, gender orientation/identify, LGBTQA, anger management. I approach counseling as a partnership between myself and the client. My role is to support and empower the client in accomplishing their personal goals and help the client to recognize their strengths. 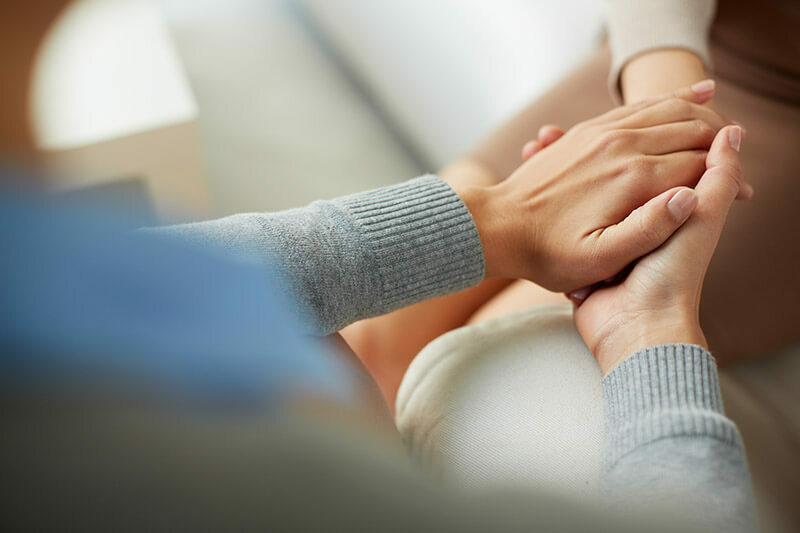 I strive to create an environment in which the client can trust and feel safe in the counseling relationship, so that they may explore uncomfortable feelings such as anxiety, sadness, guilt, or helplessness without risk of additional harm. I seek to help a client identify the link between their thoughts, emotions, and behaviors, as well as provide individualized education and skills dependent on the client’s needs. Everyone views the world based on their own life experiences; I am happy to meet the client where they are and support them on their personal journey. Tracey believes in establishing rapport quickly with her clients. Tracey’s philosophy is based in cognitive restructuring, yet describes her techniques as eclectic. She recognizes one method of treatment does not fit all clients. She partners with her clients to find techniques which affect positive outcomes in their lives. Specializations: Couples Counseling, Marriage/Relationship Issues, Anxiety and Stress, Depression, and Anger Management. Chelsea believes in the importance of relationships. She feels that building trust and maintaining a healthy therapeutic relationship is the building block to successful counseling. She is passionate about supporting clients on their journey to successfully meeting their goals, hopes, and dreams. Chelsea feels it is important to empower clients to realize their potential and assist them in building skills to be independent and successful. Specializations: Anger Management, Stress Management, PTSD, Anxiety and Panic, Depression/Grief and Loss, and Relationship Issues. Jim provides the best services that he can when individuals seek his support. He believes in treating the people he provides support to with respect and dignity and also respecting their right to design and decide what type of life they want to pursue and live. His services are strength based, and focus on the client’s behaviors that are functional and work to make their life more satisfying. He believes in helping people make choices to live a more satisfying life. Regina believes in developing a supportive and nonjudgmental relationship with all clients. Each child, adult and family has unique needs based on their individual lives and wants for themselves. Therapeutic goals are based on the client’s thoughts about what they feel needs to change in their lives. Therapy is centered on the client’s ability to accept control over their behaviors and decisions through accuracy of thoughts and emotions. Each client has a different beginning point for changes desired in their lives and this is where therapy begins. Specializations: Behavior and Conduct Issues, Couples Counseling, Anger Management, Marriage/Relationship Issues and Co-Occurring Issues (Substance Abuse & Mental Health Issues). Barry believes in building positive rapport with each client so that together they can find solutions. He believes in helping them cope with problems they are having. Barry states, “the ultimate transaction is when I am able to help clients help themselves”. Adult, child and adolescent psychiatry.